It is ever so simple! Just grill them. You don’t even need to gut them. In this photo I used grated ‘Daikon‘ radish and chopped ‘Shiso‘ leaves as garnish. And then pour some Soy Sauce and just eat! A few drops of lemon/lime juice on top can be nice too. The meat comes off the bone very easily and the taste is so full of flavour. I had heard that the taste intensifies by coating the fish with tiny amount of ‘Mirin’ before grilling and that was what I did when I cooked them for this photo. As the result I wasn’t sure Mirin helped the taste or not but certainly it made the fish a little burnt!! It is so beautiful fish with so beautiful flavour. Autumn is definitely the best season to go back to Japan for food. Oh I thought it was mackerel in English. I’ve never heard of this fish but it does look good! 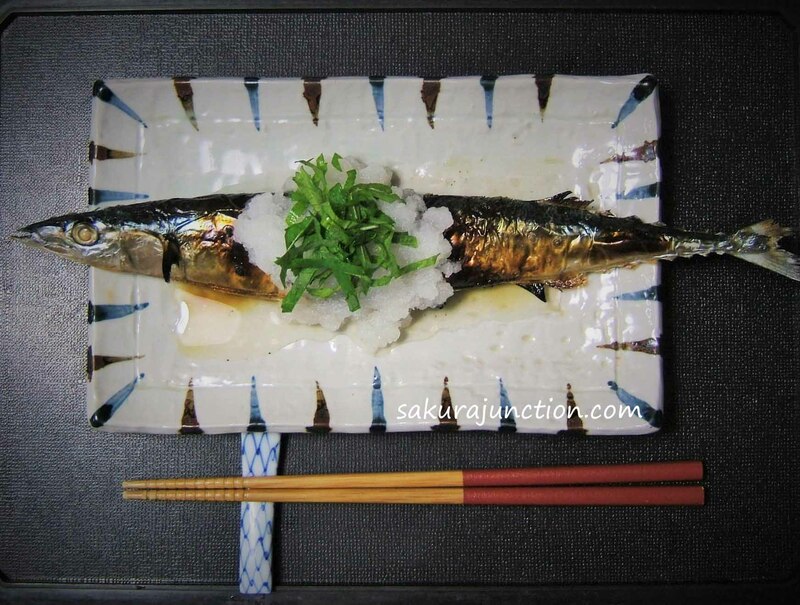 Sanma is much slimmer and tastes a little lighter than mackerel. 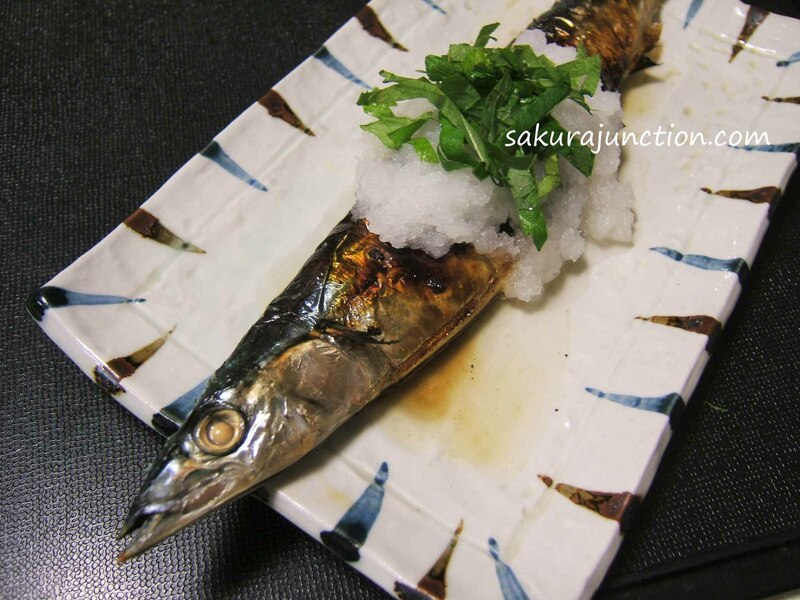 Sanma is more seasonal fish. I love mackerel too though. So do I!! 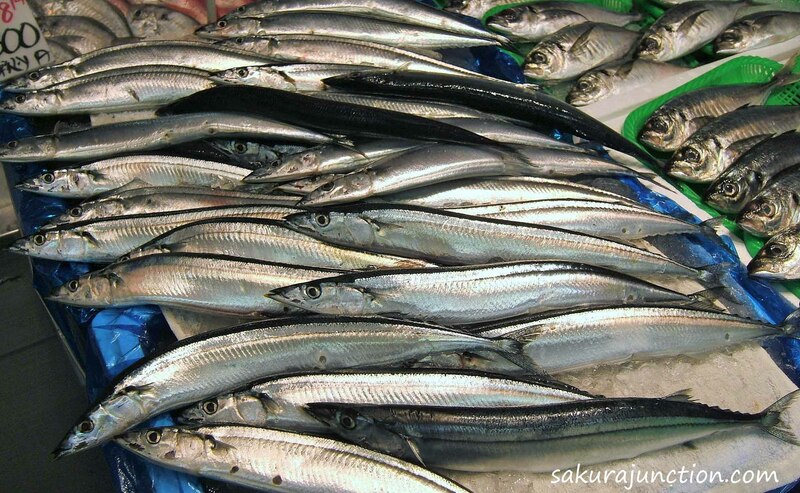 It’s one of my favorites for sushi so I’d love to try it grilled. I’m hungry again, ha ha! 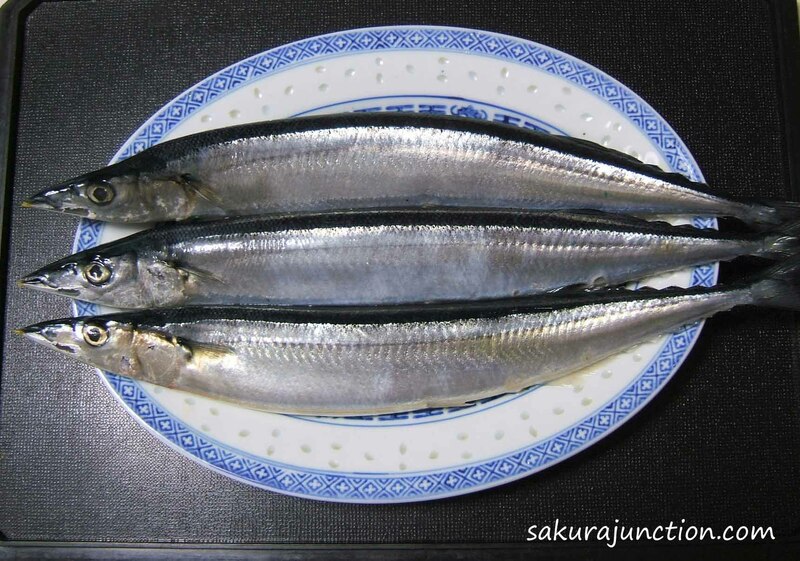 Lol, I never knew what Sanma in English until now! Ha ha, it was not just me then. Taste of Autumn? Just seems like taste of delish! Thanks Carrissa. Definitely it was!